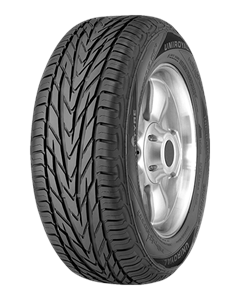 The SUV tyre for vehicles of the middle to upper range. Excellent performance in all weathers – both on and off the road. Double V-tread for superb wet weather handling. … thanks to a special silica compound for SUV tyres. … thanks to stable shoulder blocks and a robust tyre design. The double-V water displacement system of the rallye 4x4 enables the simultaneous displacement of water across both the length and the width. Water is dispersed quickly – the most effective protection against aquaplaning. In particular when you take corners, enormous forces act on the tyre. The wide shoulder blocks of the rallye 4x4 street provide a large area for the transmission of these forces. This, in turn, provides for good handling conditions, precise steering performance and consistent driving stability – even in light off-road conditions.